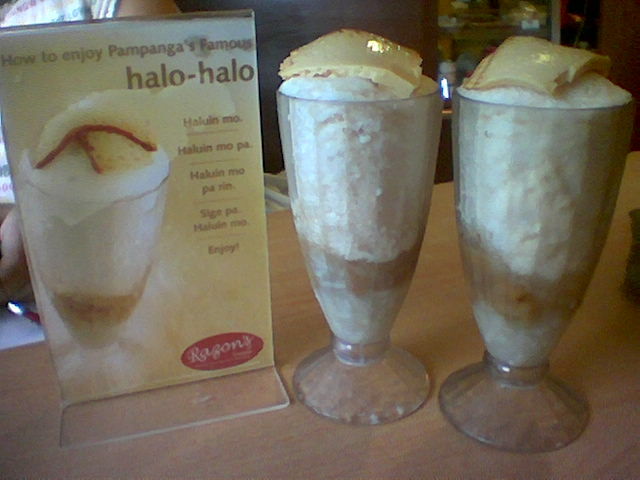 We frequent Razon's in Greenhills or the one in Gateway Mall because they serve the best halo-halo here in the Manila. The ice is blended along with the banana and macapuno, then topped with leche flan. However, after tasting the halo-halo from Razon's in Mexico, Pampanga (Razon's hails from Pampanga), I take back what I said about Razon's being the best halo-halo here in Manila.